Ever since Game Update 0.9.2's release over a month ago, we've been hearing the same question: when's the next update? Well, I have great news for you! 0.10.0 will drop before the holidays and will be our largest and most influential update, ever! We're even more excited because it includes many of the features that you've been asking for. First things first: as it looks right now this update will be launched on PlayStation 4 and will bring the PS4 version of SNOW up to speed with the PC version. That means that all the awesome content and improvements we've made to the PC version, like improved grinding, Tyro Valley, and Whiteridge will finally be available on PS4 and multiplayer will be back online! We have redesigned the leveling system to make sure that both new and experienced players always have something to work towards. Initial leveling is now from 0-20. Once you hit Level 20 you are considered a Pro and begin earning Pro Levels which will take longer to complete, but will also contain more valuable rewards. Pro Levels continue until Level 100, but will be increased once the first handful of players reach the milestone. Many of you did not like the previous reward system where you received small packs of Credits each level, so we redesigned our rewards. You will now receive a Swag Bag every time you level up. Swag Bags contain a randomly selected item and come in different rarities - so the more rare the package you receive, the more awesome the reward might be. 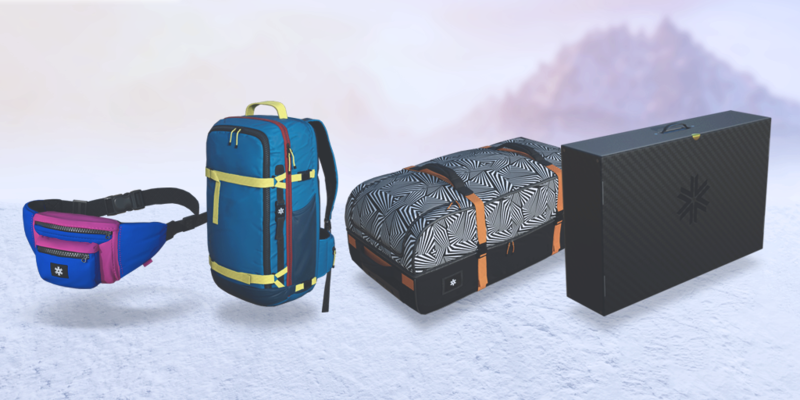 That being said, all Swag Bag rewards are rare as they are items that cannot be purchased through the store, including snowmobile skins, drones, session markers, and rare props - not to mention lots of Credits. Now that we're able to reward you with random items we don't have to limit leveling and can be more generous with rewards (and reward you in more areas of the game experience). That's right, in the next update you will finally be able to come to a complete stop, walk around, and take ski lifts back up the mountain! While riding the ski lift you can look around and enjoy the scenery, skip to the end of the trip, or even jump off mid-ride. We've added a new activity to each mountain called Sightseeing. Sightseeing points are scattered across the mountain and encourage you to explore the mountain further. Find one of these locations, hold down the on-screen input, and be treated to a nice cinematic showing off the area and some secrets you might have missed. Drop Point unlocking has also been changed in 0.10.0. Back Country Drop Points must now be unlocked by riding to the actual Drop Point and holding down the corresponding on-screen input. In addition to that, all Heli Drop Points are now locked until you reach level 20. We want Heli Drop points to be a more meaningful reward, and also encourage players to make more use of the Heli Pads around the mountain. 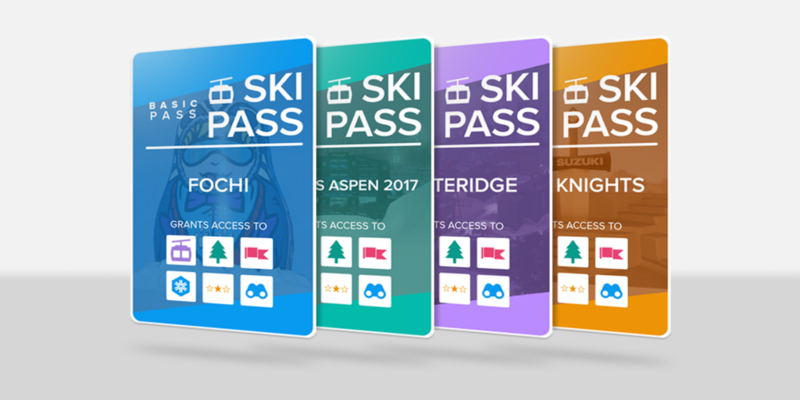 One of the biggest changes in this update is our move towards a Ski Pass system. I'll explain how it works and then talk about why we've made this change. Aside from Tyro Valley, which will always be free to ride, access to each SNOW mountain will now require a Ski Pass. Ski Passes give you access to the mountain, all its contents (events and rewards) and activities (challenges, sightseeing, and more in the future), for either 1 Day, 7 Days, or 28 Days, depending on the Pass you get. Ski Passes can be earned through leveling rewards or bought for a very low price. No more spending to unlock individual events or premium mountains. Don’t worry, if you have already purchased a mountain, you will still own it and not need a Ski Pass to access it. No matter what, every week a different mountain will be free to access, although you will need a Ski Pass if you want access to the mountain's content and activities. This way, you can explore all of the mountains and enjoy the game for free, but need to do a bit more for access to all SNOW has to offer. We hope that this makes SNOW feel more rewarding, more engaging, and, ultimately, makes it a better game for everyone. Our goal with SNOW has always been to build a game that is accessible AND sustainable. That means that we earn enough to continue supporting and updating the game with great new features, but aren't charging so much that gameplay suffers or users fragment. We thought the best way to do this was to create a free-to-play game, and earn money for support by only charging players for cosmetics, events, and branded content (like X Games Aspen). That way, the core experience would be free, and fans could pay to support the game. While we think free-to-play is still the way to go, just charging for cosmetics, events, and branded content led SNOW to make some events and levels too expensive and to create a wide and confusing catalogue of purchasable items. And we still weren't earning enough to sustain development. So, we went back to the drawing board to create a simple system where nothing is too expensive. Ski Passes are what we came up with. With Ski Passes, the core SNOW experience is still free (in Tyro Valley) and you can sample a free mountain each week. If you want to expand your SNOW experience, you pay a little bit to have access to a mountain (including all its activities and content) for 1, 7, or 28 days. This seems like a simple, clear way to let everyone experience the full breadth of what SNOW has to offer, while also supporting the game's development. We know that 0.10.0 is going to be a big change for many of you, but please bare with us. We know already that this release won't have all the answers, and that we will need to make further tweaks to all systems. We look forward to doing this with your feedback once you've had a chance to play 0.10.0. If you have questions about 0.10.0, Ski Passes, or anything else mentioned in this blog post, please join our Discord channel. We hang out there during the day and often in the evening and would be more than happy to hear your thoughts and ideas.